Haas boss Gunther Steiner admits the prospect of a maiden podium for his F1 outfit in 2019 is just a “dream”. Haas boss Gunther Steiner says the prospect of a maiden podium for his Formula 1 outfit in 2019 is just a “dream” without a large slice of luck. Teams in F1’s midfield have managed just two podium appearances since the start of 2017, with Sergio Perez securing the last one for Racing Point in last season’s Azerbaijan Grand Prix, following on from Lance Stroll’s first F1 rostrum appearance with Williams at the same race the previous year. F1 sporting boss Ross Brawn labelled the midfield podium record as “unacceptable” at the end of last season, with FOM and the FIA continuing its push to try and close the gap between Mercedes, Ferrari and Red Bull and the rest of the grid over the coming years. Asked whether he feels a breakthrough podium is possible this season for Haas - which recorded its best result of fourth-place in Austria last year - Steiner replied: “That is a dream. If we could make it that would be nice. “I would say last year in Baku without the accident we could have got close to it. So hopefully it is our season. So last year luck was not a lot on our side. “Maybe it turns and we get lucky. But if everything goes normal nobody can reach the podium except for the top three teams. “Sometimes there are things happening in a race where you can make it, and if you are there and about after the three big teams, you can pick it up. 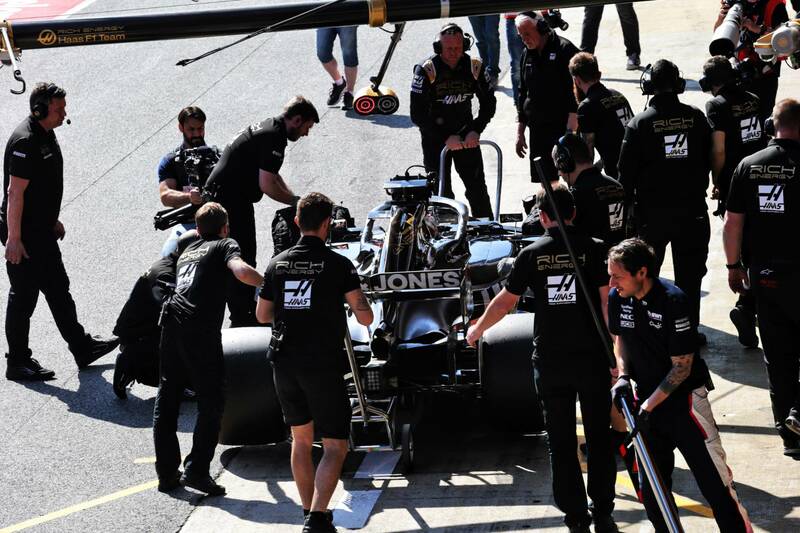 The American squad, which is looking to build on its fifth-place finish in the 2018 constructors’ championship, endured a mixed fortnight of pre-season testing in Barcelona as its running was thwarted by a number of reliability issues, leaving Haas seventh in the team mileage charts. “It is difficult to quantify [the impact],” Steiner said. “Even if we have not got the data or the result, we need to get over it because we can’t get it back anyway. How much did it set us back? I have no idea. We will deal with it, we will be fine. “Hopefully we had all the gremlins so they are not coming back, that is the good thing if you have failures in testing that hopefully you discover some things, that you don’t bring them to the races. “For sure you lose time in testing by making this experience, but if you have to make the experience - which sometimes you have to - it is better to make it here than at the races.